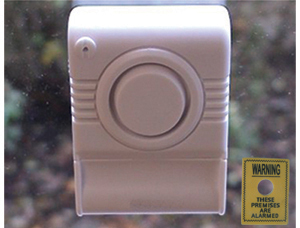 Home window alarms are a simple addition to any home or infact any property, for such a simple addition they make a huge difference to the overall security of the property. Window alarms are extremely effective deterrents for any intruders, windows are actually the prefered method of entry by most common criminals as they are out of site and a lot less secure than the doors of the house. 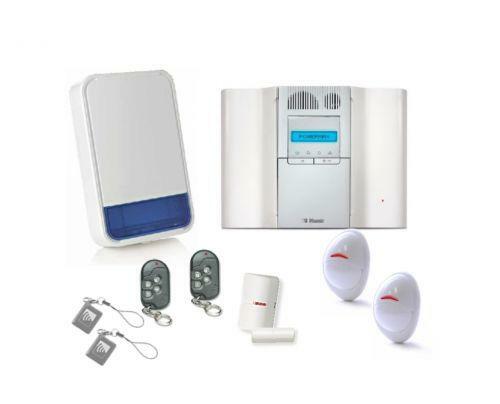 KeyWise highly recommends that you look at the wireless home security system offered by Visonic®! This all in one system, at its basic level is a GRADE 2 Insurance certified intruder alarm, which is supplied as a trade product and fitted by KeyWise. The reason we bring all our customers attention to this product is huge diversity and the amazing additions that can be added simple and controlled from one easy work panel in your home. The Visonic® system ‘addition’ inspecific to windows is the ‘shock sensor’, it gives you an early indicator before any window has even been opened. If anyone attempts to open your window unsuccessfully with any type of movement for example a crowbar, the shock sensor will immediately be triggered and the siren will sound, ringing your mobile phone at the same time to alert of the the risk. The benefits this has over the window alarm are clear to see, if the two sensors on the window alarm stay together they will not alarm so this doesn’t help if the intruder is braizen enough to smash the window which is a real problem if your house is a secluded area. For more information on the Visonic® system please click here.